Let me introduce you the Tello jacket today. Tello is a classic utility jacket, unlined and with many pockets (by now, you should know I’m a pocket addict!). It features topstitching, a Balmacaan collar, and one-piece sleeves shaped with an elbow dart. The front closure can be made of buttons or snaps. As for the various pockets, I bet you’ll find what you need: large hip U-line pockets, a small chest pocket and a vertical zipped chest pocket with lined interior. So practical! I had a similar jacket when I was younger and I love how it was so versatile. That’s why I wanted to design a jacket that goes with almost everything in your wardrobe: a cute dress, a pair of jeans, shorts… Typically, it’s the jacket you grab before going out on a summer evening without thinking! The Tello jacket construction is quite easy, I would recommend it as an intermediary level pattern and it would be great as a first jacket with interesting details. It’s unlined (you can either serge the seam allowances or bound them with a pretty bias binding tape matching the lined pocket), the one-piece sleeve is easy to insert and the collar is only one piece. Use snaps instead of buttons to make even simpler. 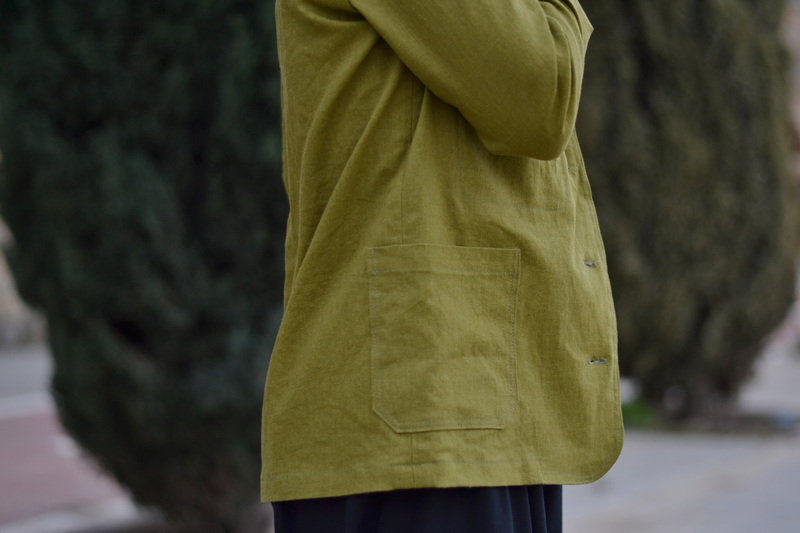 You can use a great variety of fabrics to make the Tello jacket: gabardine, twill, denim, lightweight wool or linen like the presentation version. You also need some lining for the pocket (cotton would be perfect) and bias binding if you choose to finish your seams this way. 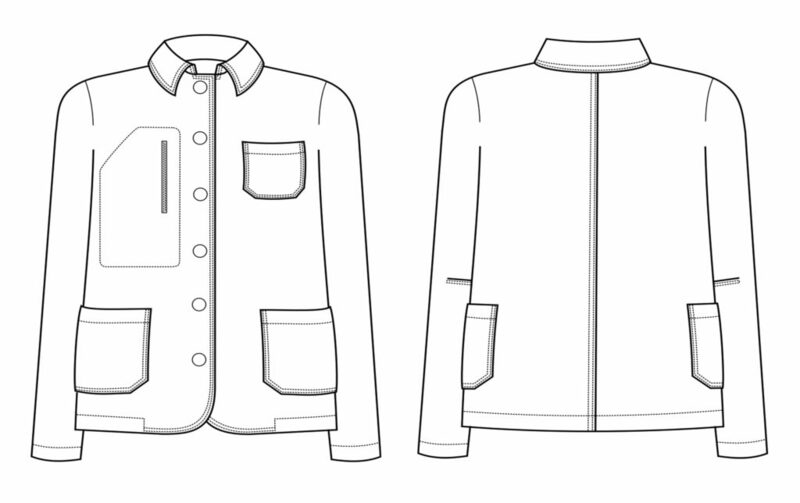 No interfacing is required, this is a rather informal jacket, but if you think your fabric would need it, feel free to interface the collar and facings. Easy to make and easy to wear, what more can you ask the Tello jacket? 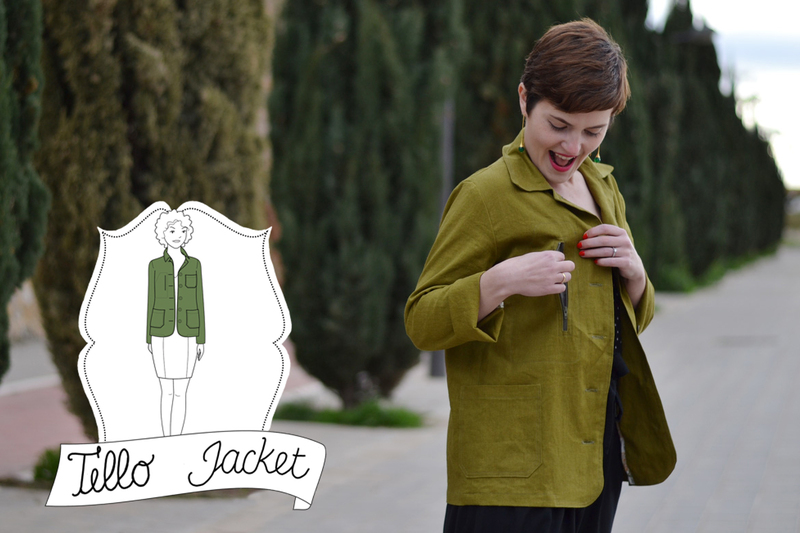 You can find the Tello jacket pattern in the shop in both PRINTED and PDF versions. C’est très dommage car j’aime beaucoup cette veste, mais j’ai besoin de voir d’autres versions /couleurs/ matières pour me projeter vraiment. Je pensais trouver plus de photos dans cet article dédié ? je vais donc attendre les versions des testeuses/revieweuses et les premières versions des fans qui ont tout de suite acheté le patron ! Bonne journée à toi ! Bonjour Suzanne, vous pouvez voir plusieurs versions de la veste Tello sur mon compte instagram (et dans les stories) et un peu d’inspiration sur Pinterest (https://fr.pinterest.com/paulineyalice/tello-jacket/). Je vous présente les versions des testeuses très vite. J’ai trouvé le tissu de mes rêves pour Tello aujourd’hui même (un coup de coeur comme j’en ai peu dans la vie pour du tissu!). J’ai été très heureuse que tu partages différentes versions de cette veste via ta story Instagram, ça m’a beaucoup plus inspiré que les photos de présentation du patron bizarrement! Je te souhaite une belle journée!